The Men of White Towers! 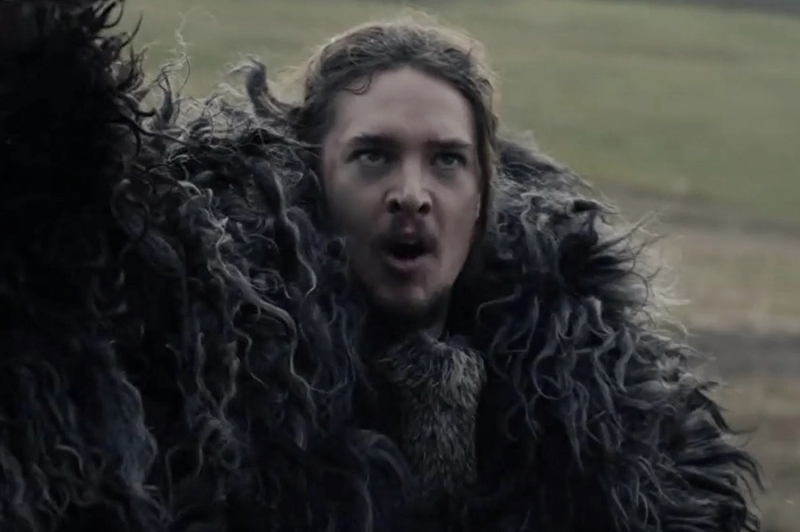 Looking forward to The Last Kingdom series! If you follow this blog on any sort of regular basis, you are probably aware of my interest in this upcoming series based on the books by Bernard Cornwell. I have already made numerous references to the books and to my anticipation of seeing it all play out on the small screen. Because of this, it should come as no shock or surprise to you that I will be including this series along with more of the books and their historical information in my future blog posts. Was there ever a doubt in your mind that I would not make every effort to promote and document this piece of excellent historical fiction and add it to our look at this time period? I am not going to re-address those issues in this post. What I do want to clarify and remind viewers of is that both of these shows are somewhat ground breaking in their nature and genre. I personally think that this new series would not stand much of a chance with a wider audience if not for the initial and ongoing success of the Vikings Saga on History channel. Michael Hirst created an interest and huge fan base in this time period and for that he deserves much credit. With his success of Vikings, he created opportunities and opened doors for other historical dramas and epic type sagas. I do want to say that he is the only one responsible for this new interest in historical period dramas because I think it has been coming for a while but he opened the doors to a wider audience than some other shows such as Downton Abbey or even Hirst’s early projects such as the Tudors did. So, as I said, Hirst does deserve his share of credit, acclaim and respect for his work. I believe that viewers of the Vikings series should take an interest in The Last Kingdom and not look at it as an either or situation. If you are a fan of the Vikings Saga, I think you will probably enjoy The Last Kingdom just as much. There are some who might incorrectly assume that this is series based on the English version of what took place during the Viking conquests of England and as such would be slanted toward the English side… not giving an honest or favorable picture of the Vikings. First of all, I should remind everyone that right now, Hirst is not giving such a favorable representation of the fans’ beloved Ragnar or even Floki, not to mention Rollo! 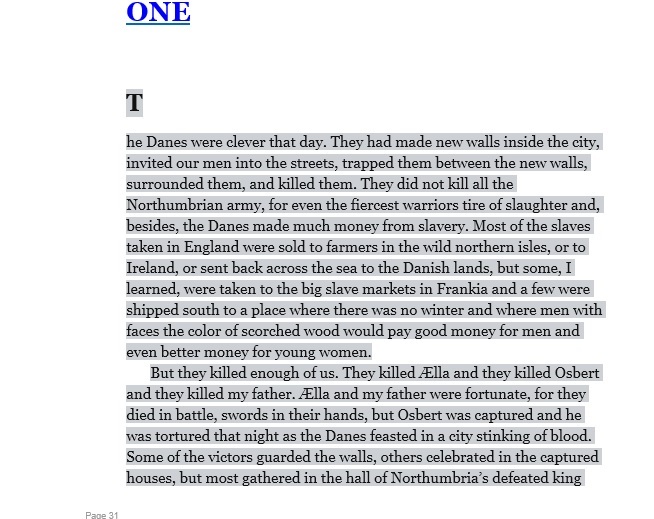 Next I need to explain that in Bernard Cornwell’s Saxon Tales, of which The Last Kingdom is the first book, neither the English or Vikings come out looking all that favorably much of the time. 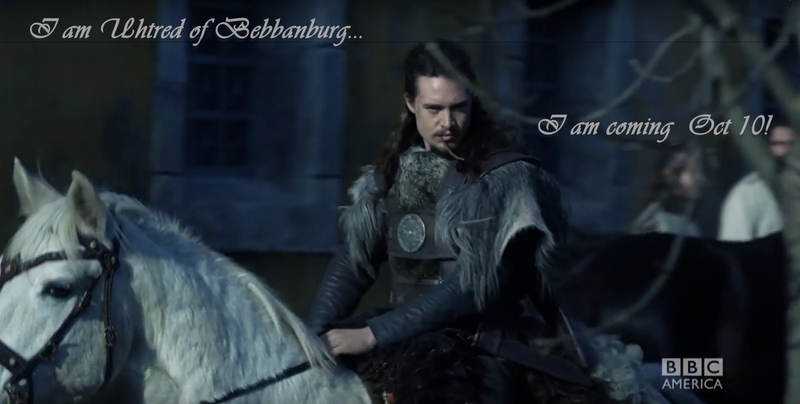 In his series about the life of Uhtred of Bebbanburg, even the “hero” Uhtred takes his share of blame and mistakes along the way. 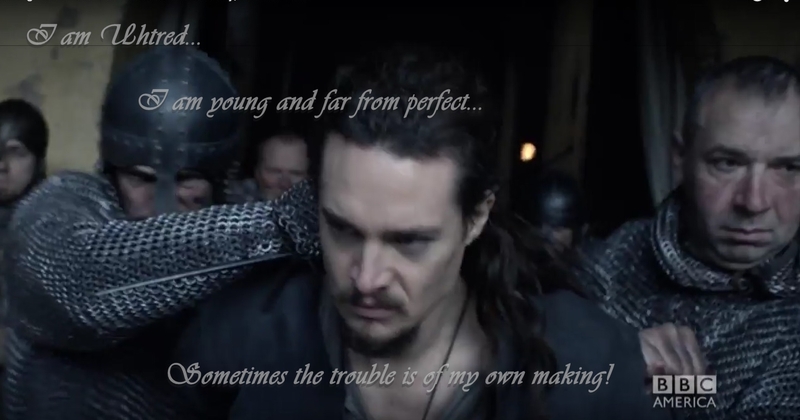 And, as Uhtred tells his story, he admits those mistakes in retrospect. He does not make excuses and he generally accepts his share of responsibility for his errant actions that may have led to disasterous consequences. He does make much note though of fate and how it guided his life. Fate led him to his capture by the Danes, gave him a deep feeling of family and loyalty to that Danish Family, even as he grew into manhood and his obsession with his own Anglo-Saxon birthright continued to tear his life and his loyalties apart. This compelling and more historically accurate story of Uhtred’s life at times crosses paths with Hirst’s version of history in that Uhtred does encounter some of those same historical figures that Hirst has introduced to us. While there is little mention of the infamous Ragnar Lodbrok, his demise or his sons revenge, those sons do play an important part in Cornwell’s version of history. 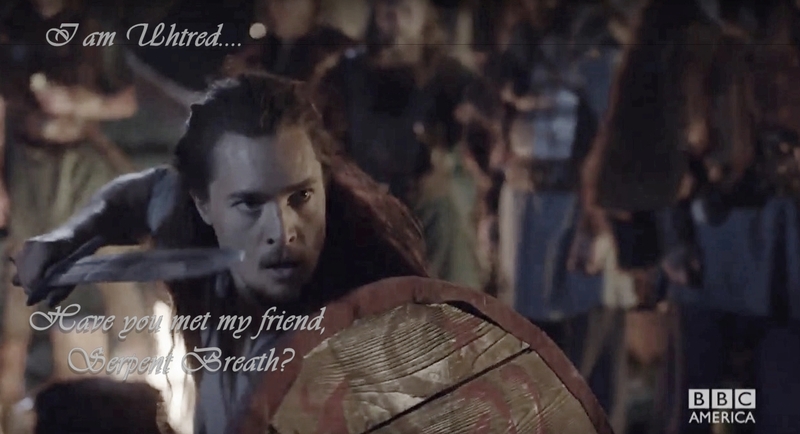 In Cornwell’s story, Ivar, Ubba and a brother named Halfdan play key roles in Uhtred’s life. Cornwell also gives an accounting of Aelle and his brother Osbert, their personal feud with each other and their fate at the hands of Ivar and Ubba. Ælla became king after Osberht was deposed. This is traditionally dated to 862 or 863, but evidence about Northumbrian royal chronology is not decisive about dates prior to 867, and it may have been as late as 866. Almost nothing is known of Ælla’s reign. Symeon of Durham states that Ælla had seized lands at Billingham, Ileclif, Wigeclif, and Crece, which belonged to the church. While Ælla is described in most sources as a tyrant, and not a rightful king, one source states that he was Osberht’s brother. In those days, the nation of the Northumbrians had violently expelled from the kingdom the rightful king of their nation, Osbryht by name, and had placed at the head of the kingdom a certain tyrant, named Alla. When the pagans came upon the kingdom, the dissension was allayed by divine counsel and the aid of the nobles. King Osbryht and Alla, having united their forces and formed an army, came to the city of York; on their approach the multitude of the shipmen immediately took flight. The Christians, perceiving their flight and terror, found that they themselves were the stronger party. They fought upon each side with much ferocity, and both kings fell. The rest who escaped made peace with the Danes. 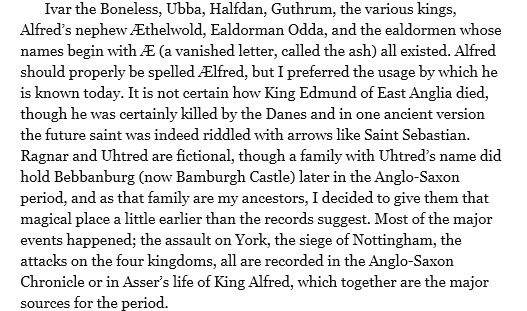 After this, the Vikings appointed one Ecgberht to rule Northumbria. Bernard Cornwell makes much attempt to remain truer to actual recorded events and people than Hirst has in his story. Hirst has taken great leeway and license with events and timelines in his version, mixing them along the way until now at the point he is in the saga, we are not sure really what the date or the year is. It could be any time during the 9th century up to early 10th century. 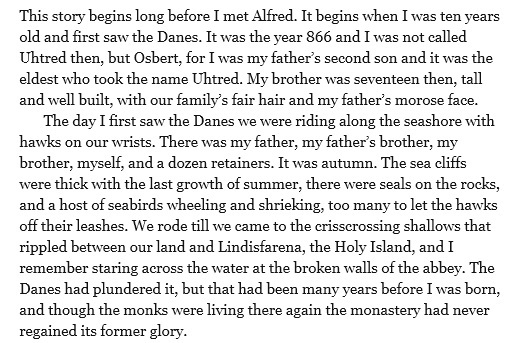 All we really have any basis of time reference on from him is that it started in 793 with the raid on Lindesfarne. Cornwell tries much harder to give us some time frame or reference to the people and events that are taking place. 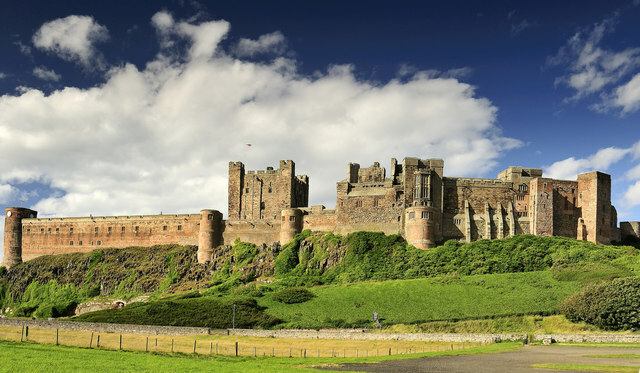 He does make mention of the early raid on Lindesfarne and the fact that it occurred near Uhtred’s childhood home, his birthright of Bebbanburg Castle. After that he often gives us dates or at least years in relation to what is going on! With his Saxon Tales, Cornwell gives us a specific starting point to the story and the events. We know exactly when the story begins with Uhtred’s birth, and Cornwell tries to follow a more or less accurate timeline after that… though, at this point after 8 books into the series, I am curious as to just how old Uhtred is at the end. He seems to be living some sort of incredibly long life span for those years! One other difference between Hirst’s epic saga and Cornwell’s is the locations. In Hirst’s version, other than a few specific references and representations of actual places such as Lindesfarne, Uppsala, the general area of Kattegat, Hedeby and of course Paris, we get more an overall general idea of place or location. 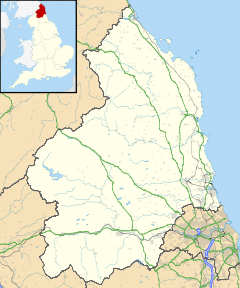 We know they are in Wessex but that covers a fairly large area and we have no idea really where in Wessex, Mercia or Northumbria they might be. Of course, that could be reasoned by the assumptions that the Danes were not familiar with these areas in the first place so would not have accurate reference points. That is an understandable reasoning or assumption. Cornwell’s version of the history deals with the locations as somewhat more familiar references due to the idea that Uhtred is from Northumbria and knows at least something of general locations. He also gives us a representation based on the idea that the Danes were already a force in the country and were familiar with the different places and areas of the Isle which they were intent on conquering. In addition, he is able to draw from the perspective and knowledge of Alfred of his kingdoms and the rest of the country. All of this allows for a better sense of where they are, where they go, and why- from both the Danes’ perspective and the English viewpoint. What we experience with Cornwell’s books and hopefully the upcoming television series is one man’s unique perspective of being able to tell the story from the viewpoint and understanding of both sides involved in the Great Heathen War. Cornwell very accurately points out the failures and successes of both sides and the reasons for those outcomes. He tells an epic story of one man’s life during that time from childhood ignorance to a young man’s youthful stubbornness, arrogance and in between it all, he inserts a much older man’s acceptance and wisdom in recalling the events of his life. It is a saga of this man’s life filled with all of the expected battles, miseries, small rewards, great losses, ill fated romances, wild journies and adventures, accounts of legends and foreign lands. It is filled with rage, rebellion, revenge and religion, lust and passion, love and heartbreak, and an underlying acceptance of the fate and future of a country that must unite in order to survive. 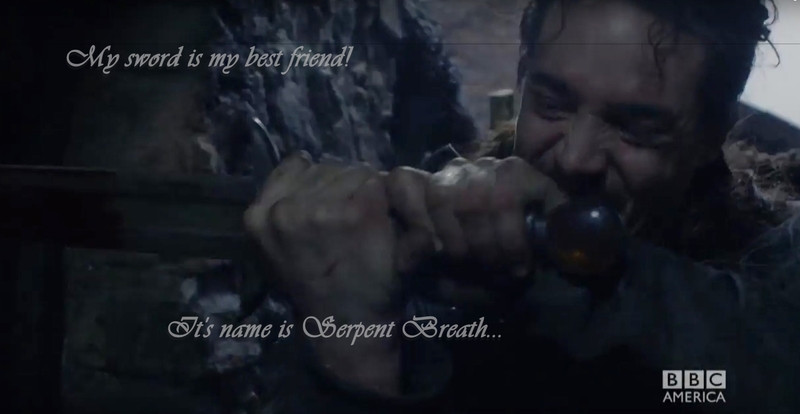 Through all of Uhtred’s experiences, he does have an inner knowledge and understanding that no matter what he might think of Alfred the King of Wessex, it is Alfred who somehow holds the key to the future of the English, and to his own hopes of ever reclaiming the one thing that keeps him fighting, the one thing that he continues to hold out hope for throughout his life… that thing, that place is Bebbanburg Castle, his birthright stolen from him not by the Danes but by his own Uncle. What he does understand is that even if he helps the Danes win, he would never truly regain his home. The only thing he could hope for in such a case is the possibility of it being restored to him in name only, he would ever be a puppet Lord of the Danes. 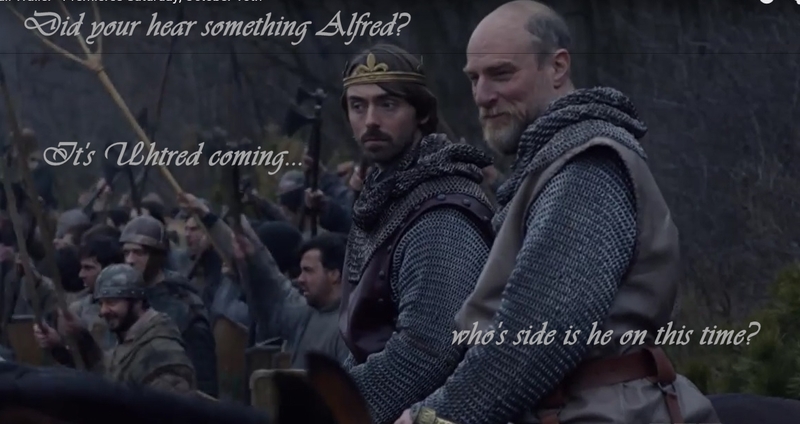 His only real hope of truly restoring his land and his title lies with the English, with Alfred defeating the Danes and the kingdoms uniting together. As much as he despises Alfred, he knows that Alfred is capable of such a success and Alfred holds the power to restore his beloved Bebbanburg to him. 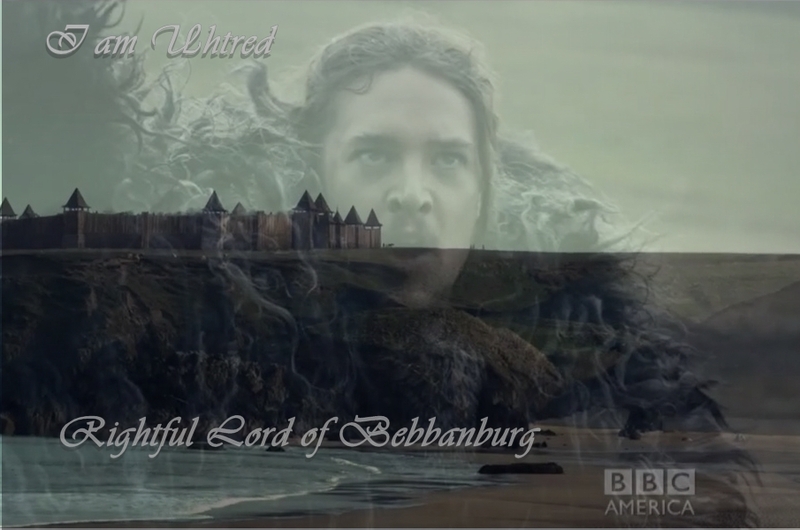 Because Bebbanburg is such a crucial part of the books and should be throughout the show, I am going to touch briefly on it here. Bernard Cornwell has mentioned that Bebbanburg Castle is based on a castle in his ancestry. 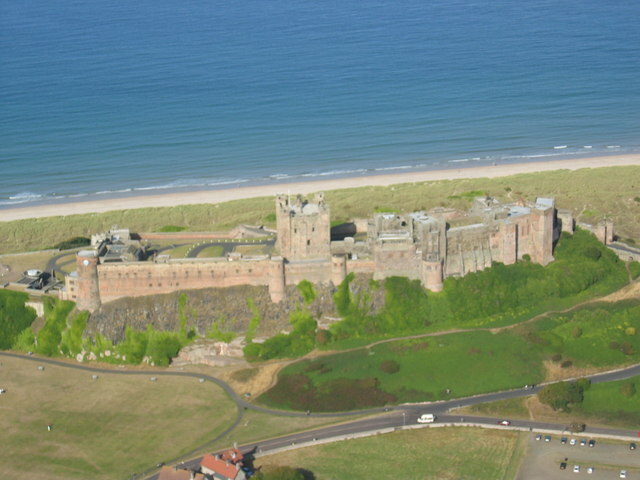 Bebbanburg is based on Bamurgh Castle in Northumberland. In his story, Cornwell does reference some of the history of the Castle as to being at one time a part of the more ancient Bernicia. 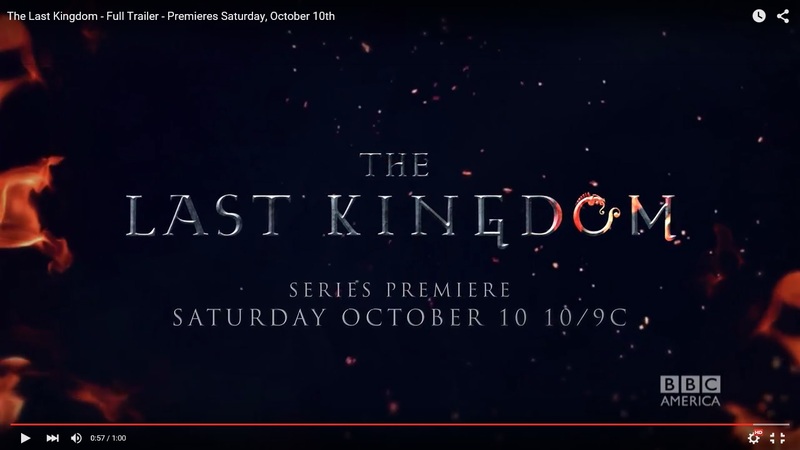 In my previous update post for Last Kingdom, I provided their first full trailer. I am not going to repeat it again here but I have sorted through the video and pulled out some still photos that might encourage you to look forward to the airing of this story. As another encouragement, I would strongly suggest you read the books! There are a number of books in the series but as I mentioned in the previous post, there has been some mention of dealing with about two books per season. So, going with that information, you should seriously consider reading at least the first two books of the series! 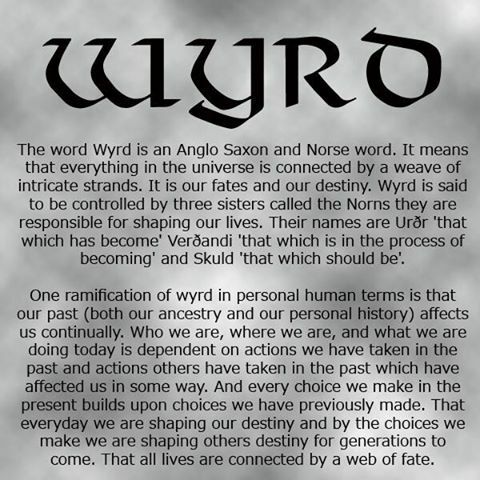 I did also provide information on those two books in the previous post so you can easily find them and begin your journey with Uhtred! The books are not long drawn out epic reading, they are each fairly short compared to some other works… about 400 pages each. They move along at a quick pace and it really does not take a long time to get through them! Now, on to some of the highlight pics from the trailer! I hope all of this spurs you on to read the books by Bernard Cornwell and mark the air date for Last Kingdom on your Calendar! In case you’ve somehow managed to miss that, it is October 10 on BBC America! In case you might also be wondering and waiting impatiently for the next installment of Uhtred’s story… it is due out on October 8! Warriors of the Storm is the ninth book of the Warrior Chronicles/Saxon Stories. 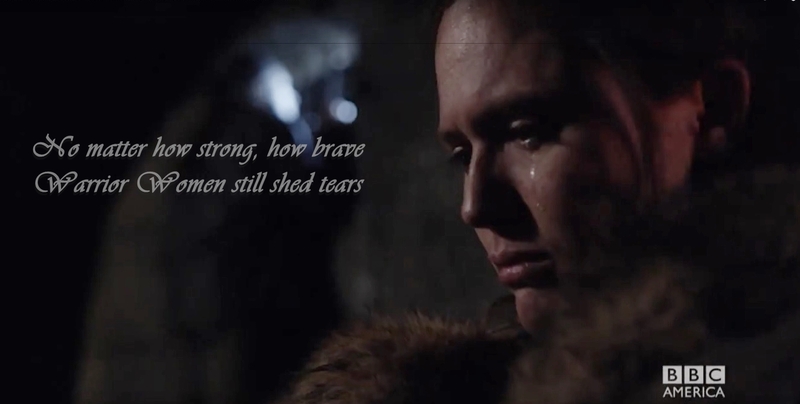 Uhtred’s struggle between family and loyalty, between oaths given and political demands, has no easy solution. 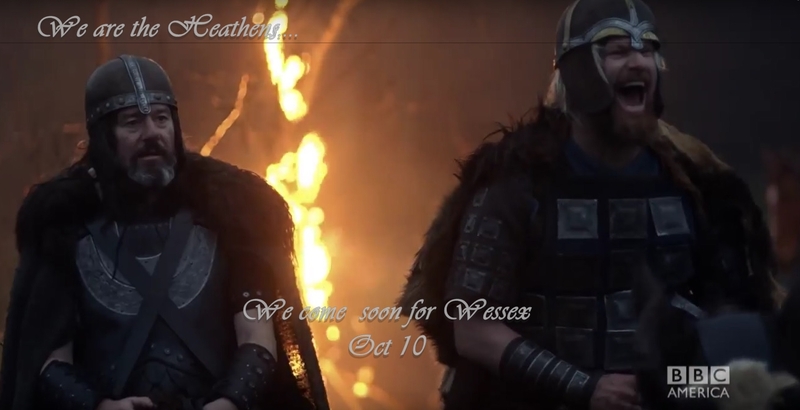 And the clash between the Vikings and the Saxons will resound across the land. Hmmm maybe a little- more in his build and demeanor than actual physical looks? 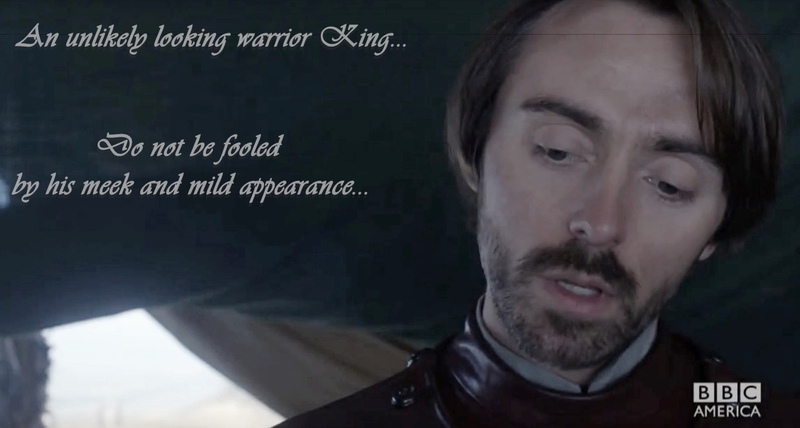 I do think that David Dawson will make a great Alfred in Last Kingdom. Underneath his meek and frail appearance is a will of iron and at times, a calculating and hard heart with one vision set in his mind! Starfish, you absolutely need to read these books! They are much more fact based than the Vikings saga is. 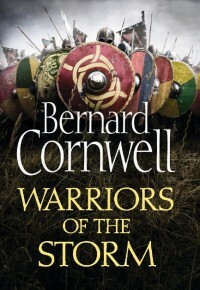 Bernard Cornwell has done an excellent job of telling the story and weaving the actual facts and events into it. At the end of each book he always includes a list of historical notes and references, and explains his reasons or rationale for any deviation from the facts! I got far more out of these books than I have from Vikings Saga! He presents Alfred much as the man is described in histories of him. Much of the portrayal of Alfred could easily relate him to Hirst’s representations of Ecbert and Aethelwulf. Alfred is portrayed as a physically weak man suffering from debilitating illness- it is thought by historians that he probably suffered from Crohn’s disease. He was never really expected to rule as there were a number of brothers ahead of him in line. In spite of this chronic illness, he was highly intelligent, well educated and probably would have been well suited for a church life. He was much like Aethelwulf in his devotion to God and the church but he was torn between that devotion and the realities of life. He was like Ecbert in some ways in that he was single minded and focused on his intent to unite the Kingdoms under one rule- his… He could be manipulative and as cold hearted in his plans as any of the enemy warriors and although he wanted peace between the English and the Danes, when he saw that was not going to happen, he became ruthless in his efforts to win! Unfortunately, no- Alfred was a sickly child and some doubted that he would ever even survive to adulthood let alone be ruler! Augustus/Octavian was not a physical specimen.. In the classic Cleopatra with Liz Taylor, he’s shown vomiting at the sea battle of Actium. HE was played by Roddy McDowell. What I mean by hell on wheels, he’s one step ahead of everyone all the time.. He was a thin blond man, about 5 foot 4 with blue/grey eyes. I bet Alfred was like that too. Ivar the Boneless was definitely not a physical specimen and he’s the one Alfred has to be ahead of. Marc Antony beats on Octavian, but Octavian still wins. https://www.youtube.com/watch?v=nw2qN62nGgc He knows his limits, he’s a cold man. https://www.youtube.com/watch?v=ChbXyK7d_NY Yes I must read book. Yes you must read the books! Welcome to my personal historical fantasy corner of the world! Within this realm you will find historical facts, fiction and fantasy from the ancient to the present time. You will find Romans, Celts, Saxons, Vikings, Scottish and English. You will find books, movies and television programs related to all of that history... And, you will also find "Spoiler" previews, reviews on various programs and books- Please take heed of this spoiler message! My favorite poses for sims3! It’s almost impossible to do the illustrations for my story telling without the use of pose player for sims3. This excellent creator does wondeful work and I trust her creations completely! Medievalists.net Where the middle ages begin Everything you want to know or didn’t realize you wanted to know about the medieval ages! Little Flecks of Inspiration A great writer’s blog!!! Vanderburg Squared A wonderful sims3 story blog! Elizabeth Chadwick: Living the History Official website for Elizabeth Chadwick, award winning historical author! Of Kings and Castles – The Kingdom of Castle Keep A fantastic sims3 medieval legacy story! Sisters of the Bruce J.M. Harvey’s wordpress blog for the Sisters of the Bruce! Blue Bells Trilogy Wow! I just happened to stumble across this site and this time travel trilogy, now I must put them on my to read list! Scottish Gaelic An interesting and helpful site for some Gaelic words and prayers! Bill's Sims Creations Bil Sim is a talented sims creator as well as an all around great guy! Check out his work! Simpy Ruthless Ruthless is an excellent sims3 builder and you can view her work here! She is an amazing builder of all things Victorian! Outlander Dreams It’s an Outlander Dreams Blog Party! Fauxlander.com One of the most creative, original and funny Outlander blogs I’ve seen so far! Thor News ThorNews Supplier of Norwegian culture! Berkeley Bowl Marketplace, Berkeley California Excellent grocery experience in the Bay Area! My medieval castle pictures on pinterest A collection of various real castles and places I use for inspiration! Alison Weir official web site One of my favorite historical authors! My Good Reads Page Books, Books and more Books to come! Philippa Gregory Official website Really, No explanation should be needed! This author has made history fun and interesting for us! Outlander Kitchen Historical and Character-Inspired Recipes from the fictional world of Diana Gabaldon! Blackmore's Night Some excellent medieval themed Music inspiration! The Simmers Society A sims3 community for everyone interested in Sims3! White towers project, A sims3 build project White Towers Manor- An English Manor home where Lady Eleanor is currently residing with a houseful of guests! My sims3 creations You can find all of my builds and sims here available for download!